Take your little ones on a foray into the jungle with these delightful animal cupcakes! 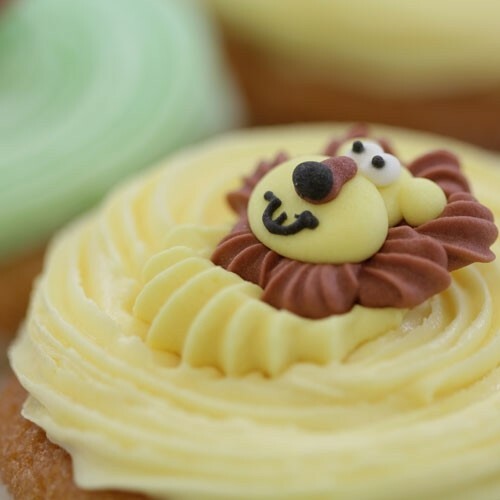 Let them embark on an intrepid jungle adventure and pretend they are fearsome lions and tigers or lively monkeys; send them off on a safari and experience the wonders of a jungle safari with these empowering little cakes which will, of course, give them mighty animalistic powers. A great start for any imaginary journey! 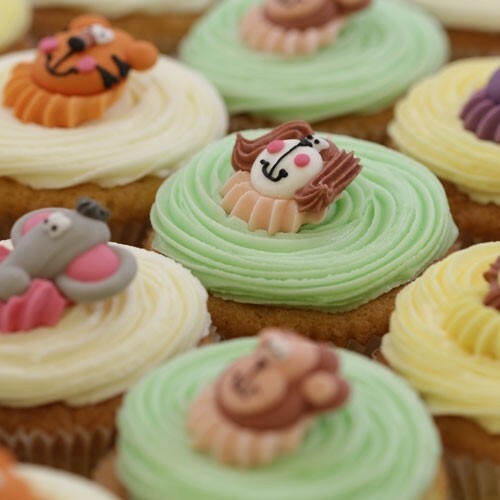 Take a trip to the zoo with these cheeky animal face cakes - monkeys, tigers and lions will put big smiles on the faces of young and old alike! Say hello to our friendly elephants, hippos and dogs - our super cute Zoo Animals cakes light up any glum little face and quickly extinguish any nasty temper tantrums. 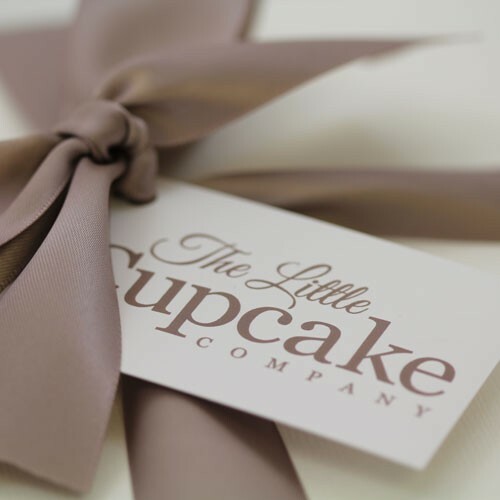 Revel in a heart winning treat which will soothe your little ones' tears, bringing sunny smiles full of delight and excitement as they polish off these adorable colourful cakes. What more could you ask for?